●Wadaman specializes in the gold sesame, succeeding to cultivation of the domestic sesame and sesame culture. the gold sesame as a leading product of Wadaman with 120 years of long tradition and history as a sesame maker. It was in 1965 when he ventured to start specializing in the gold sesame, departing from the black sesame and the white sesame businesses which would end up being price competition. It just so happened that the gourmet boom of Japan's high economic growth period and peoples' growing awareness of importance of health gave boost to the sales of the gold sesame. In this situation the value of Wadaman's gold sesame is said to have been recognized by gastronomists and famous cooks. The top-notch gold sesame is touted as the one produced in the coastal regions of the Mediterranean Sea in Turk. Whenever they hear that the high quality sesame is being produced in China, Sudan, Paraguay, etc., they travel the world, making suggestions, providing guidance to produce the high quality sesame, doing business negotiations and conducting researches for the harvests. In fact 99% of sesame consumed in Japan come from foreign countries. In this situation Wadaman puts its most of efforts in cultivating the domestic sesame, and the number of local farmers in Japan who cooperate with Wadaman is on steady increase year-by-year. Currently approximately 60 percent of the sesame distributed in Japan come from Wadaman's guidance for cultivation. These activities are backed up by the vehement management approach of this company, who are trying hard to succeed to dietary culture of the sesame, revitalize the regional economy by producing the domestic sesame and promote “dietary education” through the sesame. 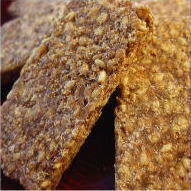 Wadaman's sesame products come from not only excellent raw materials but from its unique processing methods. Roasting is very important process to extract flavor of the sesame. Sesame's original taste is extracted with low temperature, and then its spicy roasted savor is produced with high temperature. By delicately adjusting the temperature, the sesame swells up from the core. We call this shape “Pukkuri” in Japanese, giving out the sesame unique flavor. This moment is exactly like “open sesame! !” So-called fine tuning is required in the final roasting process by President and a few staff members of the company with their professional expertise that were nurtured through a long tradition and history. The temperature adjustment in the final roasting process requires extremely delicate artisan skills. Since the white sesame is mild and pulls out taste of vegetables, it is often used by cooks as a secret ingredient. 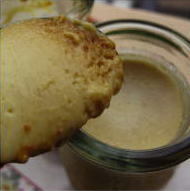 On the other hand the black sesame collaborates well with dairy products such as standard ice-cream cones, which are often seen in the streets. However, the gold sesame excels others in the palate level, above all in its sweet fragrant savor. What ingredients are they? Ingredients of fragrant savor of the gold sesame, the white sesame, and the black sesame were compared for the test. As a result, it was found out that the gold sesame contains a large amount of flans, which contribute to producing sweet flavor, whereas the white sesame contains a large amount of pyrazine that lead to producing roasted spicy savor. As for the black sesame, it was revealed that it has a little flavor unique to the sesame, instead it is characterized by strong heavy smell. Also the test report confirmed that the gold sesame goes well with rice balls and crackers in comprehensive assessment including flavors. The report further went on saying that since the flavor of the gold sesame is similar to that of nuts, there is a big expectation on sweets application. ● Designing sweets based on the concept of sesame functions. Fascinating low GI is another focus point. A new product is currently under the development as sesame sweets, using the gold sesame famous for its high palate level as a main ingredient. This product line-up is tentatively called sesame designing sweets (SDS). 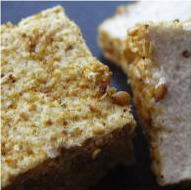 In fact the sesame is already being used for various snacks, sweets, and Japanese cakes. However, in most cases, the sesame flavor is just one line-up among others that are developed by the health conscious concept. The concept of the SDS line up should be “we can appeal the functions of the sesame and indicate the amount contained in ingredients and nutrients. 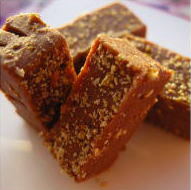 In addition the sweets are very tasty.” It features a full of the gold sesame, rather than just “sesame flavors.” In other words it is characterized by a large amount of the gold sesame used for making these sweets. It is reported that only for lignan (sesamin, etc.) that is a distinguishing ingredient of the sesame, this ingredient has anti-oxidative property, prevents hyperlipidemia, and improves alcohol metabolism. In addition, like other nuts and seeds, its low GI value is noteworthy (Table 1.) It is expected that the taking advantage of low GI values, sweets and snacks can be made without using sugar at all, which will result in suppressing blood sugar level. It is also anticipated that meal alternative sweets called “substitute food”, as well as new products that are collaborated with ingredients that promote energy metabolism can also be made, whereby contributing to weight control. 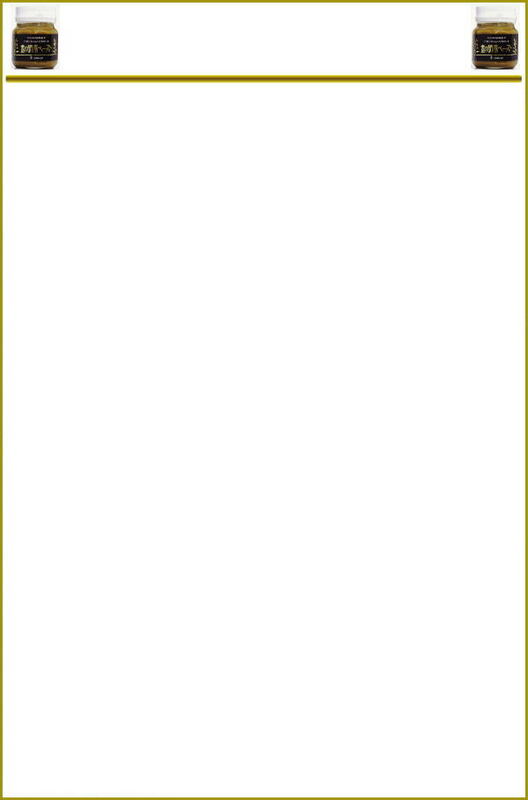 Reference:"Motte Aruku GI", published by Seitosha Company. Sesame value is referenced from The Glycemix Indexes Table. ●Lignan-rich black sesame with three times more sesamin contained Seeding tests were conducted using seeds of the lignan-rich sesame in various parts of the world since 2003. This test confirmed that only in some areas of Burma, the sesame which have extremely high concentration of lignan can be produced. The “lignal-rich black sesame oil” made by Wadaman Science Corporation uses this black sesame as a main ingredient. This black sesame is rich in lignan, but slightly bitter in taste. So they are currently available on the market shelf as dietary supplements. ※Test institute: Japan Food Analysis Center Foundation As for the lignan values of "lignan-rich black sesame oil," the average of actual values as of November, 2008 are used. As for the gold sesame, the white sesame, and the black sesame, the actual values as of September 20, 2006 are used. For the gold sesame, it is touted as a king of the sesame, hence five stars in flavor, taste and richness. It's distinguished taste and flavor can go well with any meals. For the black sesame, it is characterized by slight bitter taste. So it is best suited for dairy products. 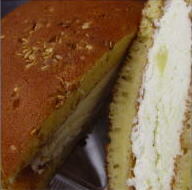 The white sesame is characterized by creamy taste. So it goes well with marinated vegetables and dishes whose original savor should be appreciated. 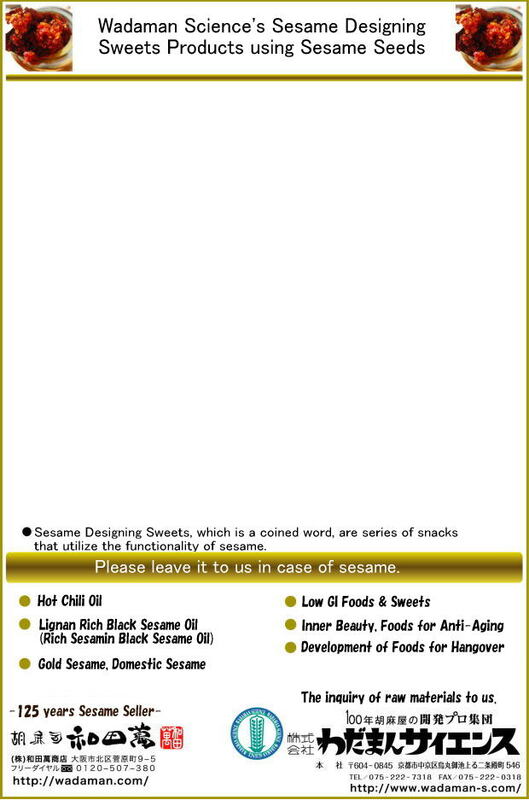 Assessed by sesame sommeliers of Wadaman Science Co., Ltd.
Interestingly, the “hot sesame oil suited for dish” with extracted sesame oil blended is now in boom, which is the most sought-after product in the various exhibitions in recent years. The hot sesame oil suited for dish distinguishes itself from the ordinary hot sesame oil which are abundantly available on the market shelf. Just like the hot sesame oil suited for dish, I do hope that sweets and new products can be developed by collaboration with the gold sesame with high palate level and ingredients which can make up for the weak points of “lignan-rich black sesame oil”, so that we can continue to appeal excellent functions of the sesame. Mr. Wada, Senior Managing Director of Wadaman Science Corporation says, “Gold sesame is like Romanee Conti of the sesame.” Sure it is. The gold sesame has a real strength: that is fragrant relish which enhances savor in any sweets and dishes only with a few drops. Above all, the gold sesame produced in Turk has extremely high palate level, which can be distinguished from others even by kids and elderly. Currently Wadaman accounts for nearly 60 percent of the total domestic sesame in distribution channels. They import the gold sesame from Turk with annual import quantity of 400 tonnages. Using this gold sesame they process the extracted oil products, the paste type, the parched sesame, and so on. 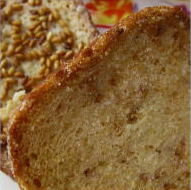 One of Wadaman's specialty is the sesame paste. When the sesame paste is used for puddings, jams blended with honey, dressings, and so on, you will be astonished by its smooth textures which can never be found in any other products. The secret lies in the number of smashing of the paste inside the ceramic resin container. Approximately 7 kilograms of the gold sesame are put in the ceramic resin container and smashed as many as five times to make it smoother. Mr. Hisatuna of the quality control department is in charge of this pasting process. The particle of the paste ranges from 60 to 80 microns which is equivalent to one tenths of a 0.5 millimeter sharp pencil. A human hair is said to be 100 micron in its thickest part. So the particle of this paste is thinner than the human hair. This extremely fine particle does make differences in the taste of the final products. Wadaman's unique point is that the ground gold sesame and “lignan-rich black sesame oil” are put together to produce flavor and sweetness of the sesame, where Korean produced chill pepper with mild hot flavor is blended together and heated thoroughly. It is characterized by the crispy textures of garlic and beautiful red colors of hot chilly oil. ● One tea spoonful of oil (4g) contains nearly 3mg of sesamin. 0.12mg of capsicum of chill pepper is also contained.